Here we are again, another day another review. 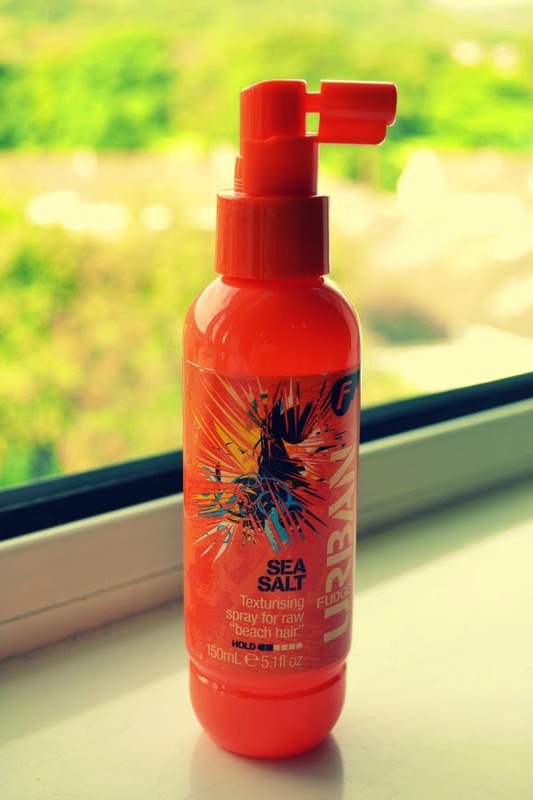 This time my friends it's the Urban Fudge Sea Salt spray that has been under close scrutiny, and I am here to tell you all about it. Ok, so as we all know (and can see if we have eyes) that I am growing my hair. It's the longest it has been in years, many years. 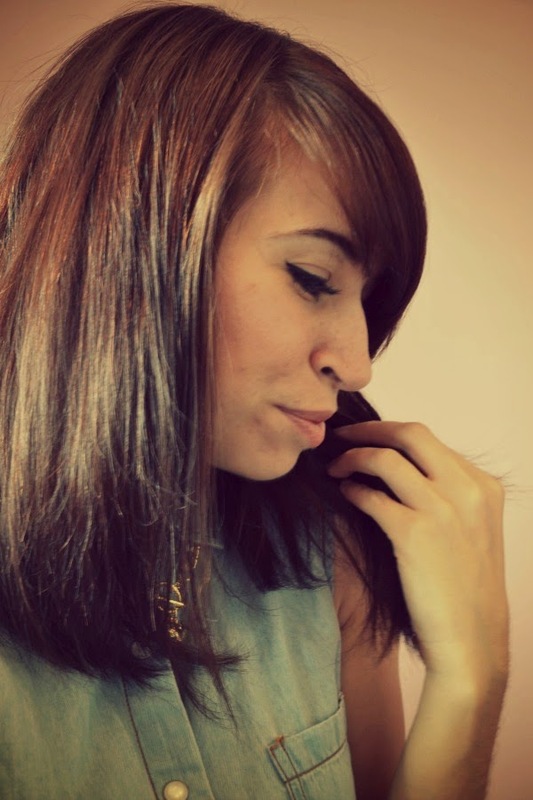 So with this new found (relatively) long hair, there comes a whole new world of styling. Previously, with my good old bob or Frankie Saturdays style short do it was just a case of blow dry into shape and there you go , out the door, happy days. Well it turns out this just doesn't fly as my hair gets longer. Anywho, given that I don't have a gorgeous thick mane of hair I've had to find a way of in some way at least making my hair just that little bit more big and luxurious... or at least make it appear that way. 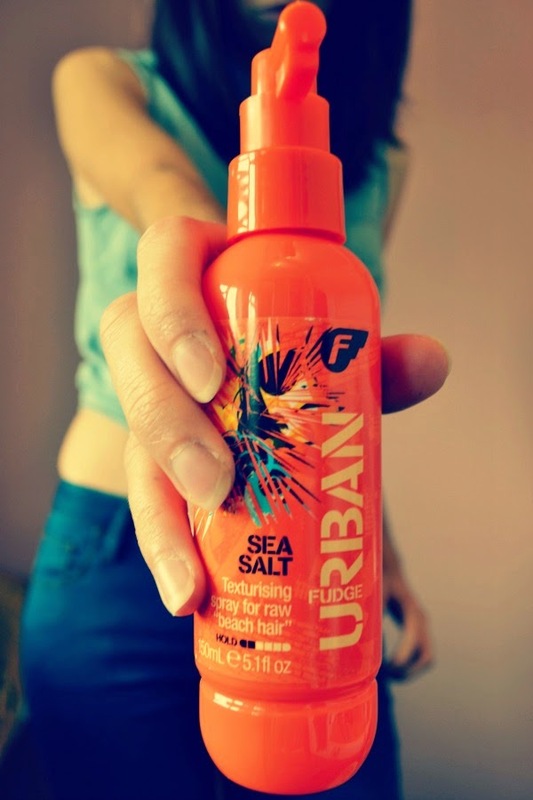 Enter Urban Fudge Sea Salt Spray. I basically bought this after watching Zoella's Go to hairstyles tutorials on you tube where she used sea salt spray (although not this one exactly) to help give her hair a bit of texture and volume. Now, I do understand that just by using this I won't have hair like Zoe's, although that would be very nice as she does have amazing hair, but lets not talk about that right now. So yup, I got straight onto the old google and looked for sea salt hair spray. This one was the first one I came across, had good reviews and (most importantly), not only did it not cost the earth but at the time was half price (yyyyeeeeeyyyyyyyyyyyy!). Am I spraying my hair or sniffing my arm pits? After picking it up in Superdrug I've used it a few times when I've wanted that bit more volume in my hair (i.e., times when I am not going to work and actually give a damn about styling my hair). I wouldn't say that this has dramatically improved my hair and given me loads more volume, but it certainly has given my hair a bit of a boost at the roots and it does indeed feel fuller when I dry it. I do find that it is best used when your hair is wet at the roots to give a bit of extra volume. When used on dry hair it can easily get a bit too much and make the hair look wet, so I do prefer to use on wet hair. Overall I'm happy with this sea salt spray, but maybe next time I'll give a different brand a try, hell it's good to have something to compare it to. 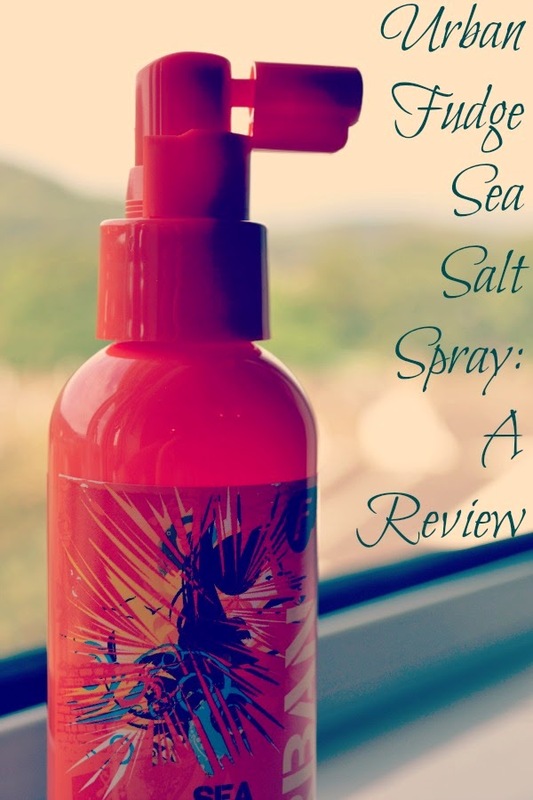 Good review, i always use the Lee Stafford sea salt spray, which is abit on the pricey side. So may have to try out this one. 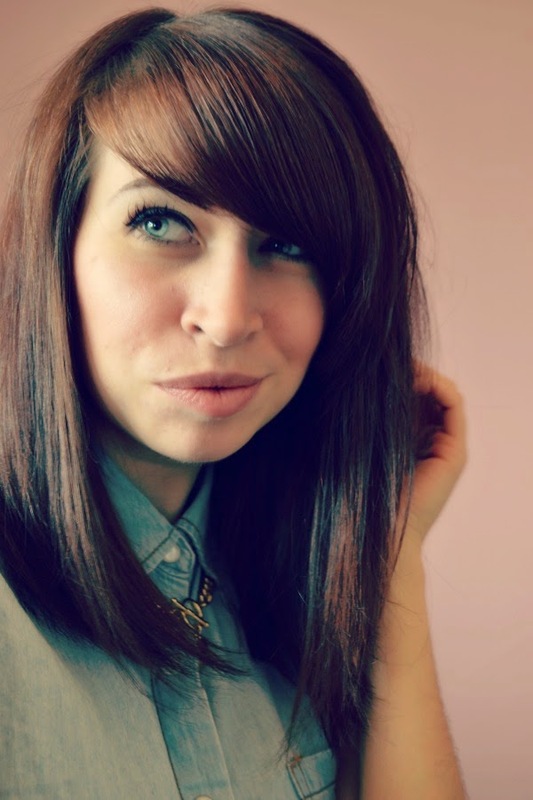 I know what you mean about (Zoella) Zoe's hair, its to die for! Great review and loving the longer hair!